CHICKEN FAJITA SOUP ALL MADE IN ONE POT! This Chicken Fajita Soup is packed with your favorite fajita flavors and ingredients and is SO easy, delicious and comforting! It’s loaded with juicy chicken, bell peppers, rice, black beans, tomatoes, green chilies, pepper Jack Cheese and topped with tortilla chips, avocados, sour cream, etc. Make room for a new favorite way to devour fajitas with this Chicken Fajita Soup! 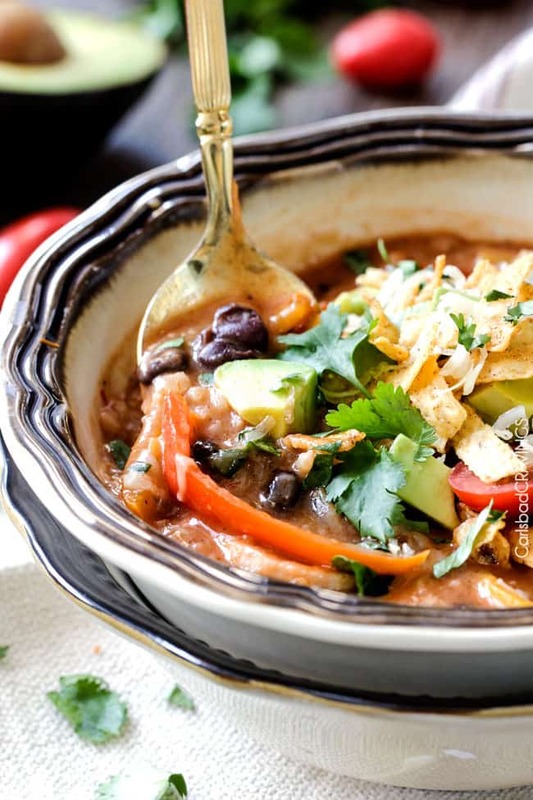 Why you will LOVE chicken Fajita soup! L is for the fiestalicious LAYERS of fajita seasonings from the cumin, chili powder, garlic, and smoked paprika swimming in the creamy enchilada sauce-like broth that will have your palate begging for more after each slurpful. O is for the OVERABUNDANCE of texture and flavor all whipped up entirely in ONE pot! 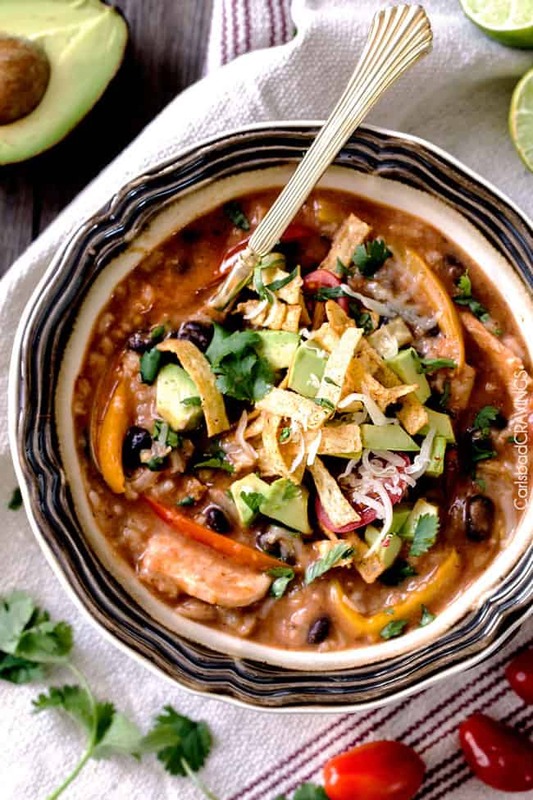 And just when you didn’t think Chicken Fajita Soup could get any better, you pile on all the topping! V is for VELVETY, cheesy soup smothered with pepper jack cheese all on your table in 30 Minutes! Maybe V should also stand for VICTORY! E is for EAT! 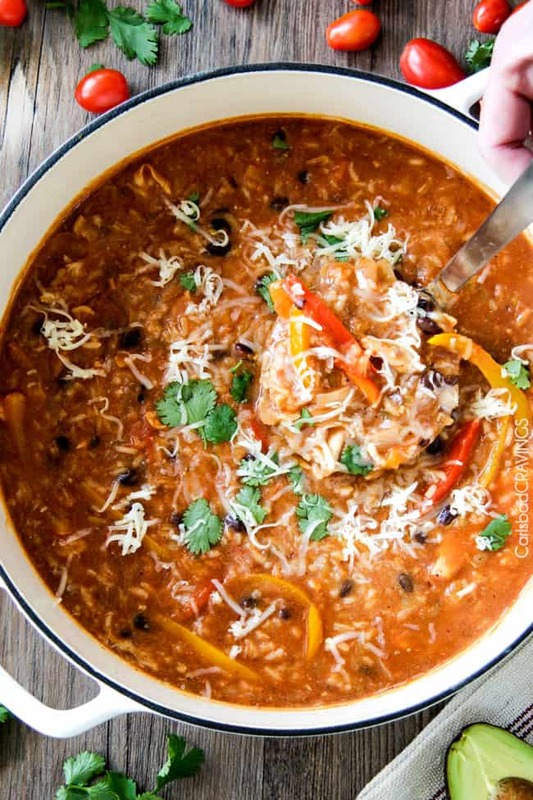 Everyone will LOVE this Chicken Fajita Soup and be begging for you to make it again and again! I am so excited for your whole family to fall in love with this Chicken Fajita Soup. 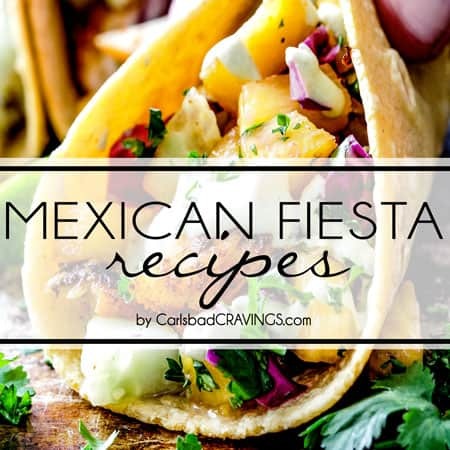 It tastes just like chicken fajitas with a enchilada like broth and is completely comforting, texture packed and flavorlicious! 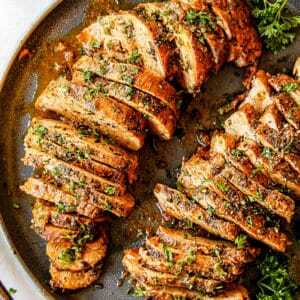 Chicken Breasts: I like to use chicken breasts because they are leaner and emerge wonderfully juicy when sliced thinly in this recipe. Chicken Thighs: You can also use chicken thighs which always emerge nice and juicy because they are not as lean as chicken breasts. Rotisserie Chicken: You can also use shredded rotisserie chicken but you will lose the thinly sliced chicken fajita feel. Still, rotisserie chicken is super convenient and then you don’t have to chop any raw chicken! If you use rotisserie chicken, you will want to add it at the end of cooking, just so it can warm through. WHAT INGREDIENTS For Chicken Fajita Soup? chicken: as previously discussed, you can use chicken breasts or thighs. Take care you slice the chicken the same thickness so it cooks evenly. onion: you may substitute fresh onion with 1 teaspoon onion powder. garlic: you can substitute fresh garlic with 1 teaspoons garlic powder. bell peppers: I like a combination of red orange and yellow for more dynamic flavor but you can use any mix of your favs or what you have on hand. flour: you can use gluten free flour for gluten free Chicken Fajita Soup. chicken broth: make sure you use low sodium chicken broth so you have some wiggle room with the salt. cornstarch: helps thicken the soup without having to add extra butter for a thicker roux. 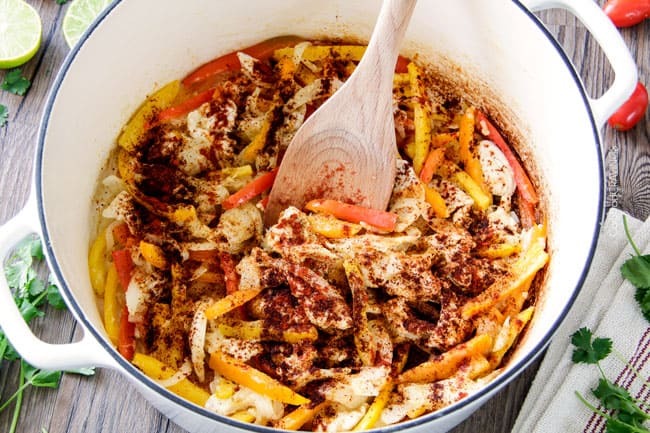 seasonings: we make our own fajita seasonings with chili powder, ground cumin, smoked paprika, dried oregano, salt and pepper. If you like spicy soup, you can add some cayenne pepper too. black beans: rinse and drain your black beans first. 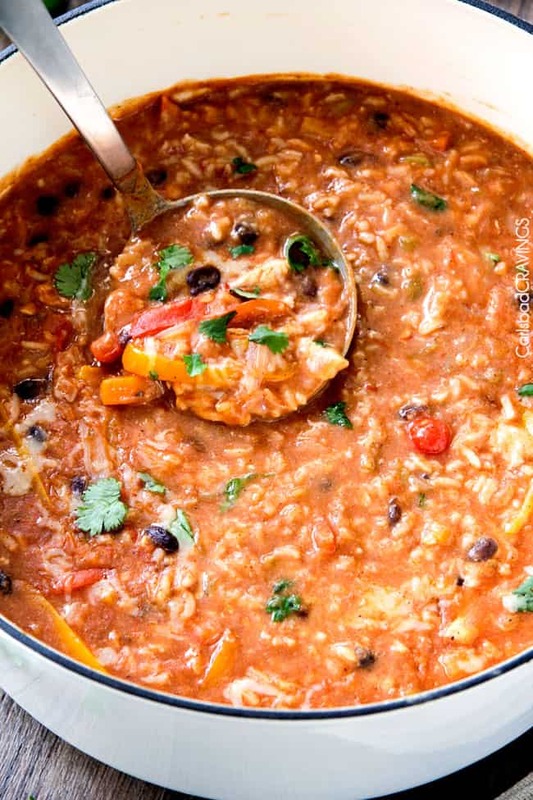 You can may substitute black beans with pinto beans, kidney beans, or cannellini beans. crushed tomatoes: make sure you use crushed tomatoes without any added seasonings. diced green chilies: use only canned MILD diced green chiles or else your soup will be too hot. rice: use long-grained white rice otherwise the rice will take too long to cook which means your chicken and peppers will be overcooked. pepper Jack cheese: use freshly grated cheese so it melts seamlessly. What CAN I PREPARE AHEAD OF TIME? I would not recommend freezing Chicken Fajita Soup because both the rice and the bell peppers do not freeze well. Rice turns mushy after freezing and reheating. Bell peppers can be frozen when they are only blanched, or flash-boiled for a few minutes so that the crunch remains, but when they are cooked in a soup like this, they will become mushy upon reheating.So, the best option is to consume your Chicken Fajita Soup within a few days or share it with your neighbors, they will LOVE you for it! 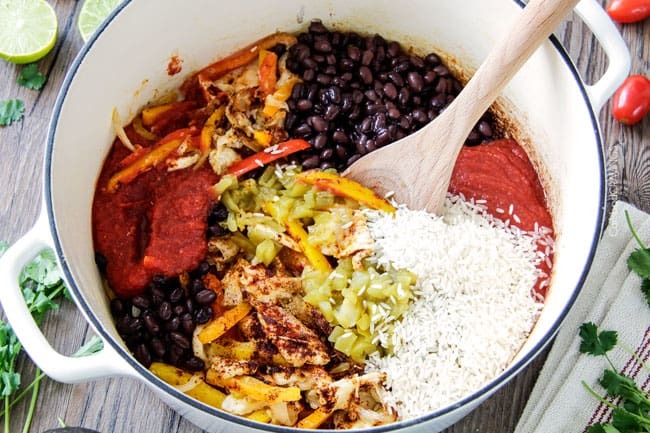 Maybe almost as much as I love this soup.Now grab a bowl of southwest comfort food and fall in love with Chicken Fajita Soup!If you love fajita everything, you will also love my Salsa Verde Honey Lime Pork Fajitas, Skillet Chicken Fajitas, Sheet Pan Shrimp Fajitas, Grilled Steak Fajitas, One Pot Chicken Fajita Pasta and Slow Cooker Chicken Fajitas, Sheet Pan Fajita Salmon with Cilantro Lime Butter, and Fajita Chicken Wraps with Creamy Avocado Dip! Looking for more One Pot Soup Recipes? 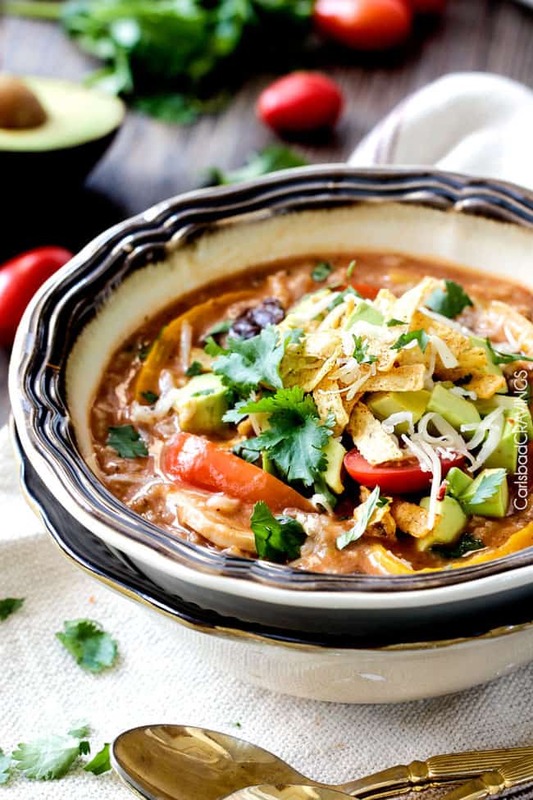 Want to try this Chicken Fajita Soup Recipe? 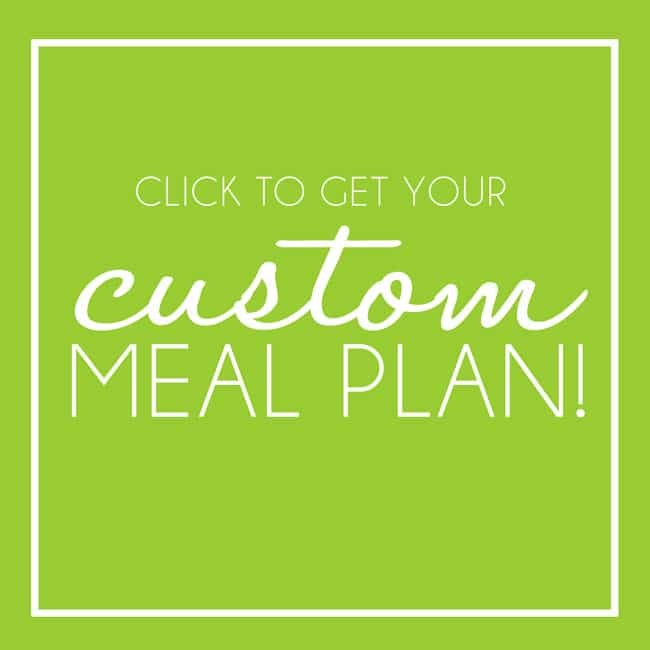 Pin it to your Soup, Mexican or Dinner Board to SAVE for later! Melt butter in olive oil over medium high heat in a large Dutch oven/soup pot. Add chicken and onions and sauté for 3 minutes. Add bell peppers, garlic, flour and all seasonings/spices. Cook, stirring constantly, for 2 minutes. Stir in rice, black beans, green chilies, crushed tomatoes and 3 cans chicken broth. Mix cornstarch with last can chicken broth and add to soup. Bring to boil then reduce heat and simmer on medium low, stirring occasionally, for 8-12 minutes or until rice is cooked. *Note: Cooking time may vary depending on how long it takes to bring your soup to a boil so I suggest checking the rice occasionally until done. Remove from heat and stir in cheese. Add additional chicken broth/water to thin soup if desired. Garnish individual servings with desired toppings. *This is a hearty soup with a thicker enchilada sauce like broth. If you prefer a thinner broth then you can leave out the flour and cornstarch. **The Pepper Jack Cheese can be left out of the soup if preferred and used as a garnish instead. Can I use different vegetables? Absolutely! While bell peppers are characteristic of fajitas, you can either use less peppers and add in other veggies or swap them entirely for other vegetables such as zucchini, corn, spinach, etc. Do I have to use cheese? Nope! The pepper Jack adds creaminess and pumps of the flavor but you can omit if you want to save some calories. 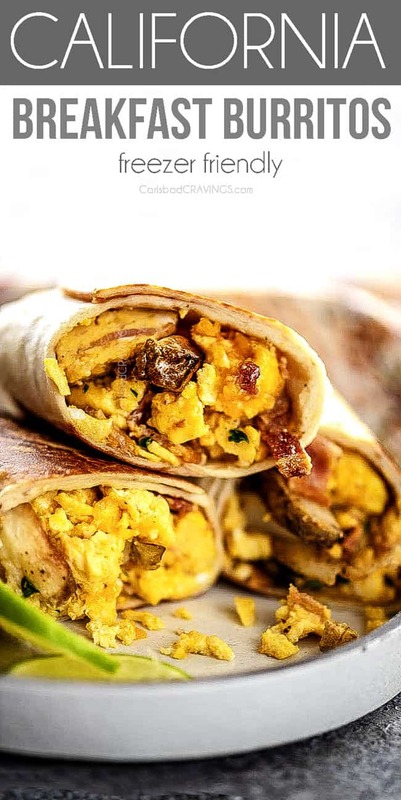 You can also swap it with another cheese such as cheddar or pepper Jack. Can I use different rice? I use long-grain white rice because it only takes 8-12 minutes to cook, the same time the rest of the ingredients require to cook. You may use a different rice but you will need to cook it separately as both brown rice and wild rice take longer to cook. If you cook them in the same pot, you will be left with dry chicken and mushy bell peppers. How Spicy is Chicken Fajita Soup? 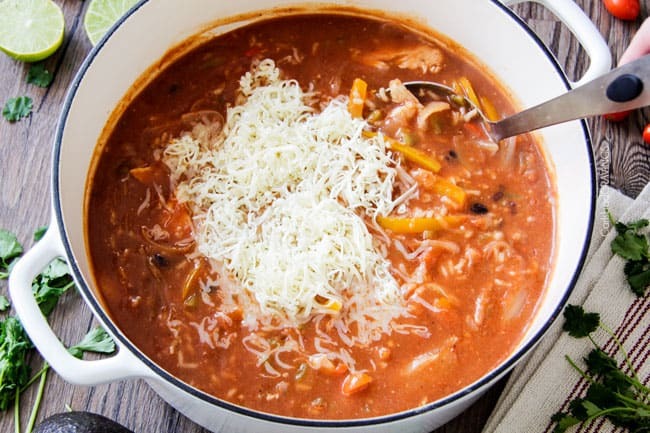 This Chicken Fajita Soup is family friendly but does have a mild kick with the pepper Jack cheese. If anything, you will probably want to spice the soup up with hot sauce or cayenne pepper to taste. 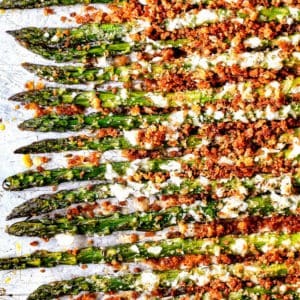 Can I half this recipe? You can scale this Chicken Fajita Soup recipe up or down. If you don’t want a lot of leftovers, then you will want to scale it down as it makes quite a few servings. Consistency: This Chicken Fajita Soup is on the chunky side – just how I like it but the “chunkiness” of the soup is entirely up to you! For a less chunky soup, simply add additional broth to thin soup at the end of cooking. WHAT TO SERVE WITH CHICKEN FAJITA SOUP? Tortilla chips: crushed tortilla chips or Fritos add a fabulous crunch and are always a favorite. Cheese: more cheese is always a good idea! 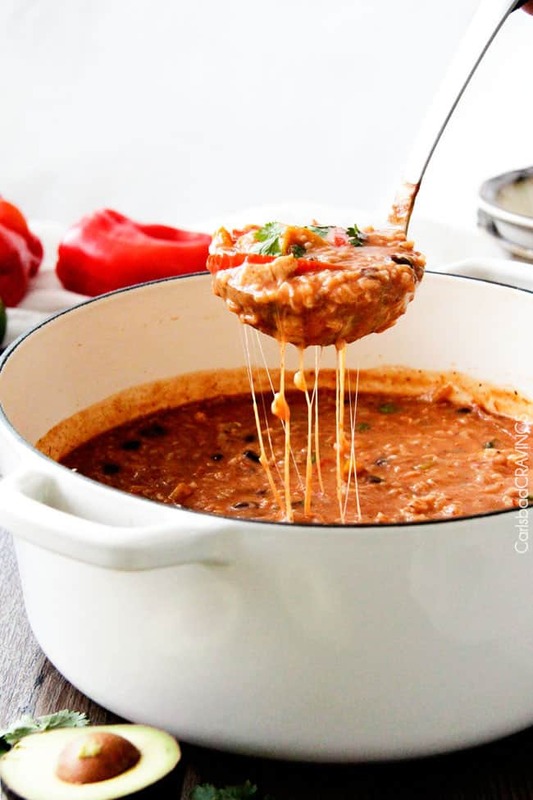 Use freshly grated cheese for superior taste and melting ability. Sour cream: sour cream is a MUST no matter what form of fajitas I’m making! It adds a refreshing, tangy creaminess that cuts through the rich flavors. You can also use fat free sour cream or Greek yogurt. Cilantro: chopped cilantro adds another dimension of flavor with its fresh, zesty citrus qualities. Avocado: chopped or sliced avocados add sublime creaminess. Tomatoes: add a juicy freshness. Pico de gallo: combines cilantro, tomatoes and onions to create a tangy depth of freshness that I love. Sliced jalapenos: a fabulous topping for those who want to add some heat. If you don’t LOVE spice, then remove the seeds as they carry most of the heat. Is Chicken Fajita Soup healthy? This Chicken Fajita Soup is packed with bell peppers and protein and only uses one tablespoon of butter. If you would like an even healthier soup, you can swap the butter for olive oil, omit the rice or swap it for brown rice (cook separately) and omit the cheese.Gluten Free Chicken Fajita Soup: If you want to make gluten free Chicken Fajita Soup, use gluten free flour or use 3 tablespoons cornstarch instead of 2.Vegan Chicken Fajita Soup: If you want to make vegan Fajita Soup, omit the chicken or swap it for tofu, use vegetable broth instead of chicken broth and omit the cheese and chicken bouillon. You will want to add salt to taste to make up for the omission of bouillon. HOW LONG IS Chicken Fajita Soup Good For? Chicken Fajita Soup should be stored in an airtight container in your refrigerator. When properly stored, it is good for 3-5 days. Keep in mind the rice will soak up some of the liquid, so you will need to add some chicken broth when reheating. CAN I MAKE CHICKEN FAJITA SOUP AHEAD OF TIME? Yes! The flavors of this Chicken Fajita Soup only taste better the next day so it makes amazing leftovers! If you know you area going to have leftovers, take extra care not to overcook your rice so it doesn’t become mushy upon reheating. The soup will thicken in the refrigerator so you may need to add some broth before heating. CAN I FREEZE CHICKEN FAJITA SOUP? This Chicken Fajita Soup is super quick and easy once you start cooking, but it does require some pre-chopping. To make dinner come together in minutes, you can slice your onions, garlic, bell peppers up to a coupled days in advance and store them in an airtight container in the refrigerator. You can also slice the chicken and store it in a separate airtight container in the refrigerator. First, saute your chicken and onions for a couple minutes, then add your peppers, spices and some flour to help thicken the soup and cook a couple more minutes. 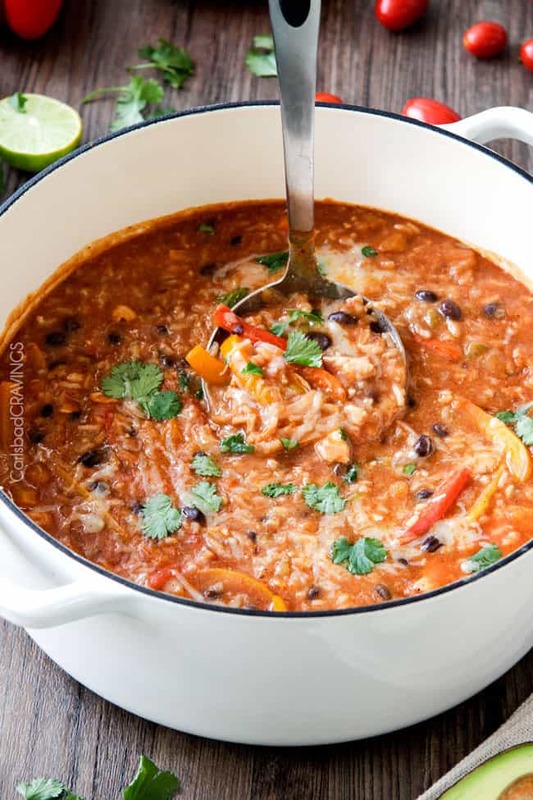 Add green chilies, black beans, crushed tomatoes, rice and chicken broth and simmer away for about 10 minutes or until your rice is cooked. Stir in some pepper Jack cheese until melted and taste to see if you would like it spicier. Then ladle into bowls and pile on the topping! 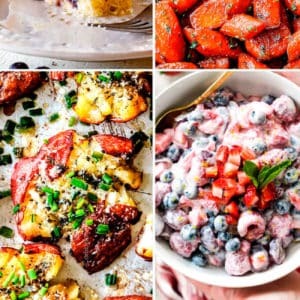 I’m new to your site and just started printing, pinning and actually making your recipes. This was my first and it did NOT disappoint! My husband would not stop commenting “You’ve outdone yourself, babe. You’ve outdone yourself.” Lol. Thank you soooo much! I can’t wait to try out so many more! Welcome to my site! 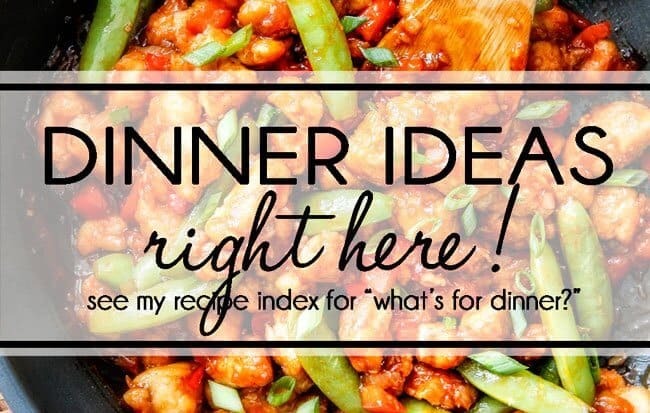 I am so happy you are finding many recipes to try and thrilled your first was such a winner! Your husband’s response is so cute! hopefully he’ll feel the same about others you make from here as well 🙂 Thank you for taking the time to comment, I look forward to hearing what you try next! We just made this this week and it was FANTASTIC!! Will definitely be making it again! Thank you so much Christy, I’m thrilled you loved it! Hey! Im making the soup at this moment and I’m thrown off by the flour and corn starch. Do I use both?? 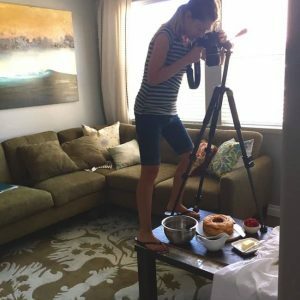 Found this recipe on Pinterest. Needed a quick meal for our busiest night of the week. This recipe did not disappoint!!! Super simple. Quick and full of Flavaaa! Everyone loved it. So so GOOD Can not wait to go through more of your recipes. 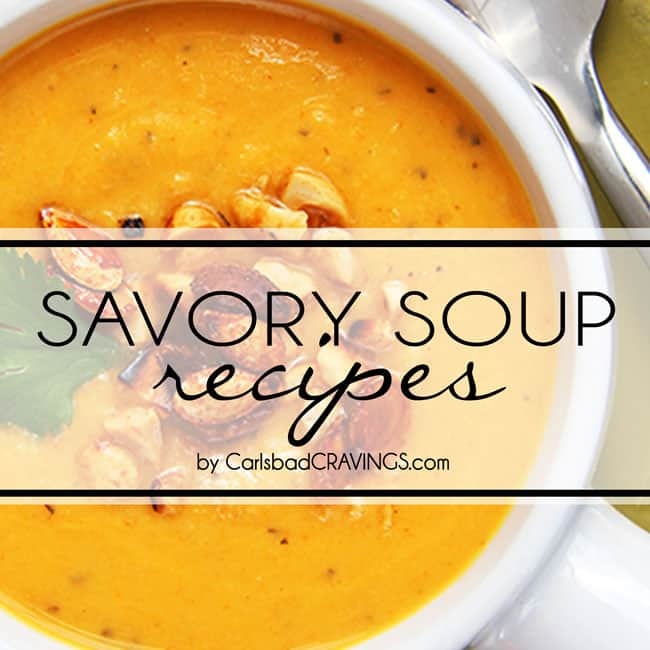 I’ve shared on FB, Insta and Twitter Thank you for a new soup recipe to add to our rotation. Now back for seconds! What an awesome comment Danielle, thank you so much! 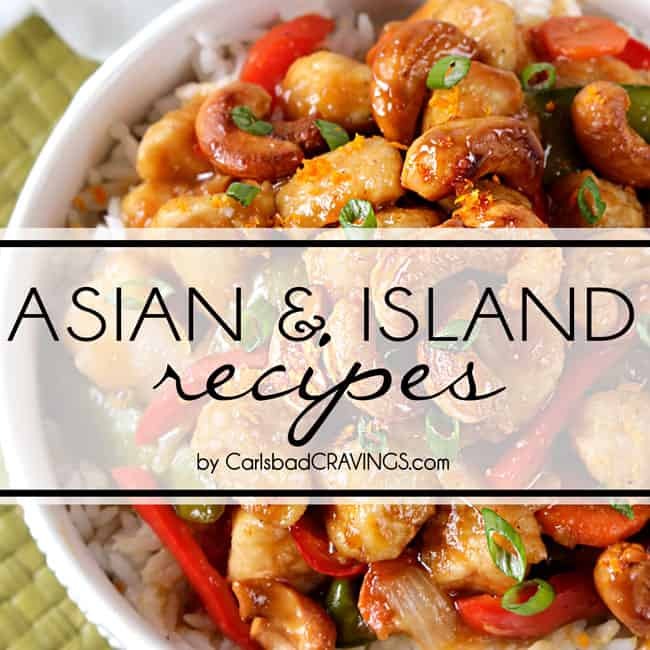 I am so happy you stumbled upon my site through Pinterest and loved this recipe! I hope you have fun exploring and cooking and hopefully finding many new favorites! I have made many of your recipes and love them all! This one in particular is one of our family favorites! I love hearing you are enjoying my recipes, thank you Melissa! 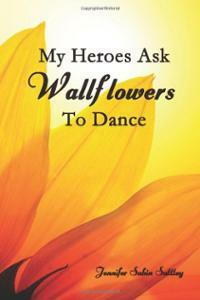 I am thrilled you love this one so much – you have great taste :)! 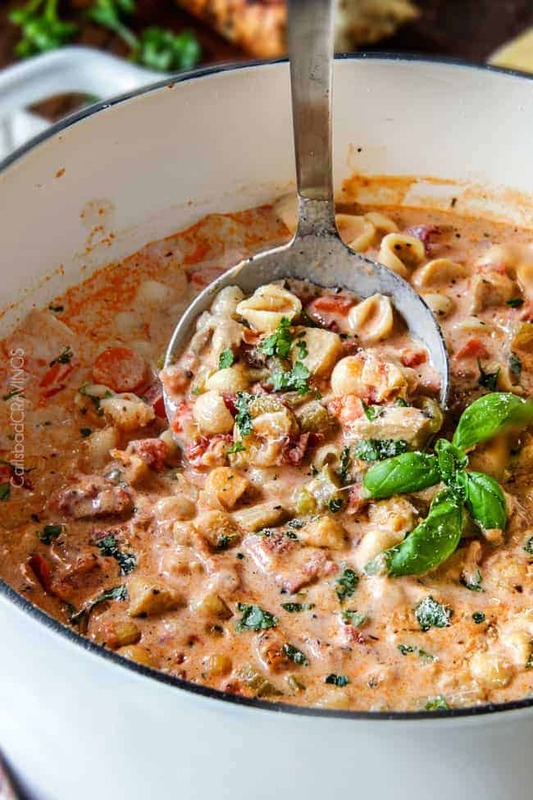 Does anyone have experience making this in an Instant Pot? Just wondering what function and time I would need to do. I just got an Instant Pot and am eager to try everything in it, ha ha. Thanks! Thank you for posting. This soup looks amazing. Can’t wait to make it. You are so welcome! I hope you love it as much as us! You are so welcome Natalie! I’m so happy you’ve found my website and are enjoying my soups! I love soups so much, I am excited for you to try them all too! 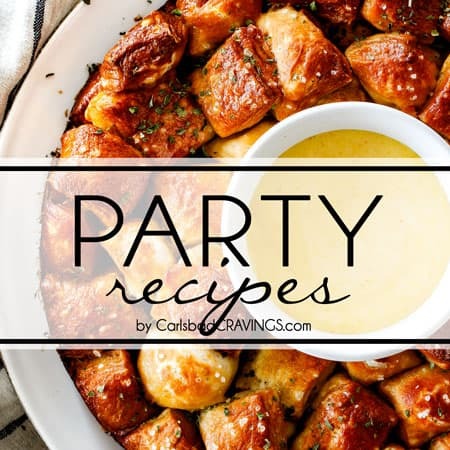 This is my go-to recipe for crowds and when I need to impress someone…it is SO delicious!! I have to make some tweaks for food allergies and was just wondering if you have any suggestions on how to replace the chicken bouillon. I don’t want to use more broth but also don’t want to lose the flavor. Any ideas? Hi Jen! I made the one pot chicken fajita soup for our family Christmas & WOW, was it a huge hit! Lol, my hubby who is very “eye appeal” driven, didn’t try it, but after everyone’s oohs & ahha, he was an instant convert!! I actually doubled it & it turned out beautiful! Served with all the trimmings: guac, sour cream, salsa, chips. 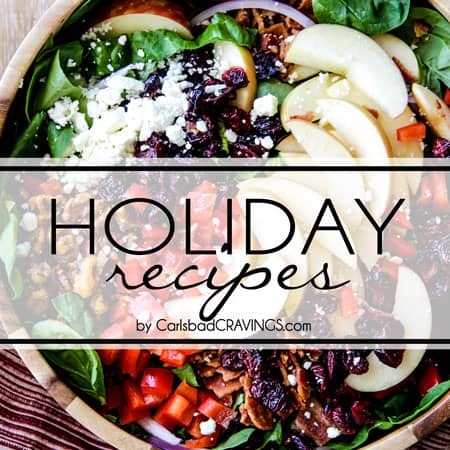 Easy, different, & awesome Christmas meal for a crowd! Thank you! A very blessed New Year to you!! What a fun idea for Christmas! 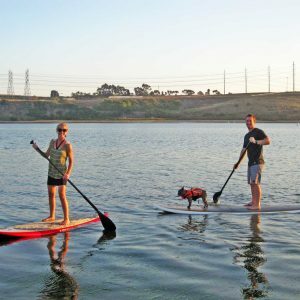 I’m so pleased (and relieved) it was a hit with the entire family – including the husband – eventually :)! Wishing you a very blessed 2019 as well! This soup is excellent. I love the thickness and flavor! So good. 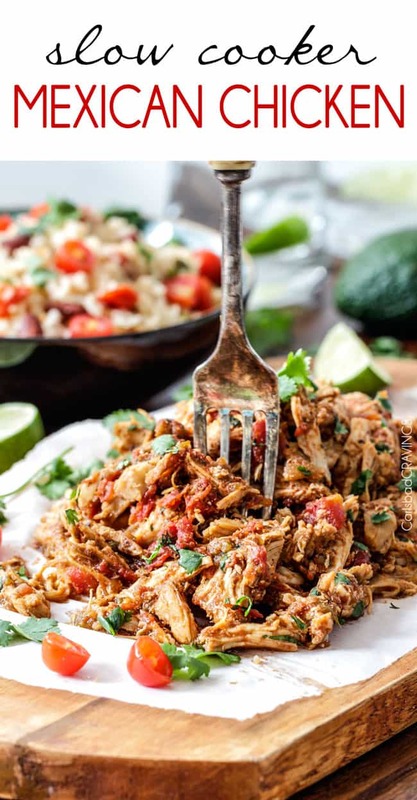 Could you make this in a slow cooker and also would you be able to freeze any leftovers? Hi Marcie, I’m sure you could make it in the slow cooker. As far as freezing, white rice tends to get mushy so I would use wild rice or brown rice. 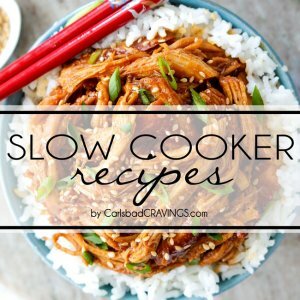 If that is the case, you will want to cook thee rice separately (unless using the crockpot) as both types take longer to cook.